There has been a trend away from amalgam fillings to composite fillings over the past few years, probably due to cosmetics. In our society today, there is a focus on a white, bright smile and people tend to want fillings that blend with the natural color of their teeth. 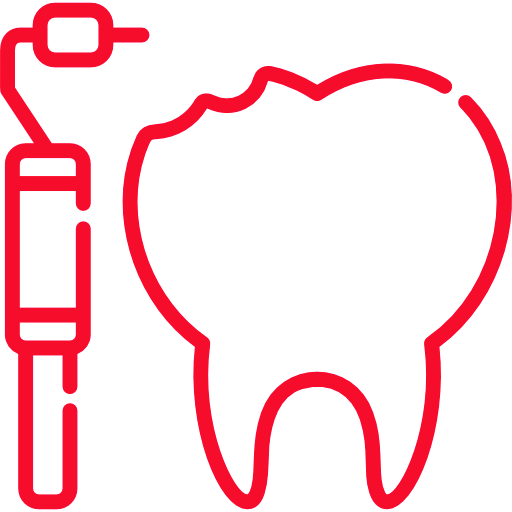 Composite resins, or tooth-colored fillings, provide good durability and resistance to fracture in small- to mid-size fillings that need to withstand moderate pressure from the constant stress of chewing. They can be used on either front or back teeth. They are a good choice for people who prefer that their fillings look more natural. 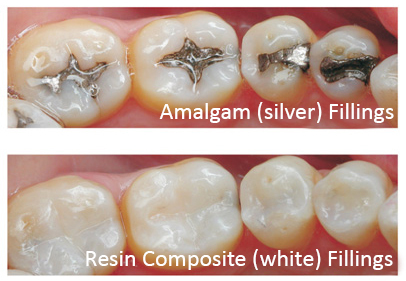 Composites cost more than amalgam and occasionally are not covered by some insurance plans. Also, no dental filling lasts forever. Some studies show that composite fillings can be less durable and need to be replaced more often than amalgam fillings.